The hackers hit NiceHash. The mining marketplace is working to figure out how many Bitcoins were taken. 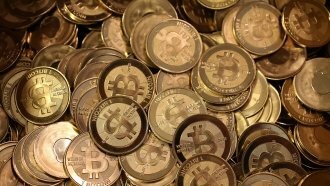 Hackers may have stolen millions of dollars in Bitcoin. The hackers hit NiceHash, a cryptocurrency mining marketplace. The site stopped its operations for 24 hours due to a security breach and said its payment system was compromised. NiceHash is still trying to figure out how much was taken. CoinDesk reports as many as 4,736.42 Bitcoins may have been stolen. That would have been worth over $62 million at the time. The news comes as Bitcoin set a new record for itself. On Thursday, Bitcoin shot above $15,000 for the first time.